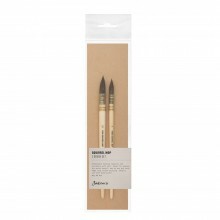 The Silverline Deer-foot is excellent quality and is suitable for creating rough areas of stippled fur or foliage. This is a Deer-foot brush; the brushhead has a circular cross-section which is cut at a slight angle. 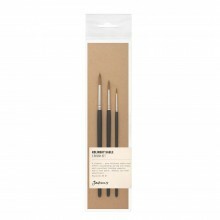 This makes the brush suitable for creating rough areas of stippled fur or foliage.